Our hobby is so much fun we decided to bring it to life, LIVE, in your living room. Reenactor radio has bi-weekly half hour shows discussing the causes and effects of the American Civil War and the people who lived in that era. Call in and chat with the General or The General's Lady in person if you would like to. Join The Generals lady along with General Rowley other guests as they bring history to life every other Sunday at 3 p.m. on Blog Talk Radio. With 36 years of experience in reenacting along with extensive historical knowledge, this show is the hottest thing on internet radio today. Co – Founder of Tenth Michigan Infantry in 1976. Enlisted as Corporal in Company E, Tenth Michigan Infantry, on February 13, 1976. 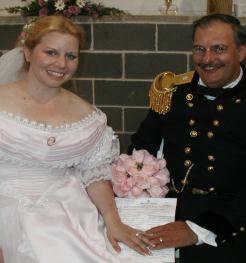 Over 35 years’ experience in Civil War reenactments, living history and historical portrayals. 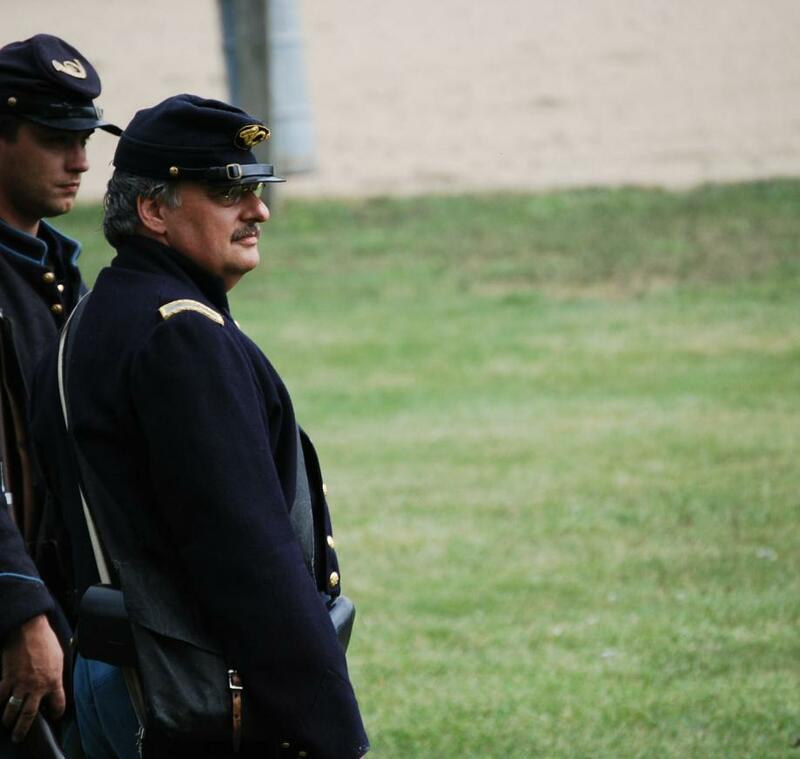 Service in the Tenth Michigan Infantry Civil War Reenactors as Corporal, Sergeant, and 2nd Lieutenant – all from Company E; Major, Provost Marshal; Colonel, Commanding Officer. 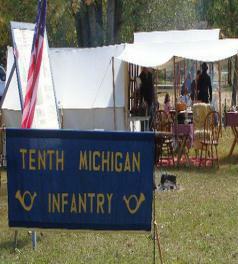 The Tenth Michigan Infantry was the senior Federal unit in a joint US-CS battalion called the First US Volunteers from 1978 to 1984. The First US Volunteers was comprised of six different Federal units and two different Confederate units. Service in the First US Volunteers as Brigadier General, Commanding Officer, Federal Battalion from 1980 to 1984. Participated in large scale reenactment events, 125th Anniversary events, 130th Anniversary events and small scale living history programs across the state of Michigan and from New York and Pennsylvania to Virginia and Georgia, from Ohio, Indiana, and Illinois to Tennessee and Mississippi. Service in these various events ranged from field staff to battalion commander to army/event commander with ranks from Colonel to Brigadier General to Major General depending upon the needs and wants of the specific event host. 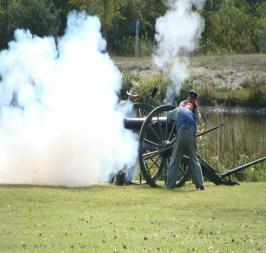 Other events include programs on the original battlefields of Shiloh, Perryville, Gettysburg, New Market, and Resaca. Michigan Department Commander, Sons of Union Veterans of the Civil War, from June, 1982 to June, 1985. Presided over the 1984 Centennial Anniversary Encampment of the Michigan Department SUVCW. Some twenty eight (28) ancestors served in the Federal army during the Civil War including Brig General Thomas A. Rowley, Brig. General William R. Rowley and Lieut. General U.S. Grant. Causes of the Civil War or Why would the United States go to war with itself in 1861?